Its important to have the proper home canning equipment when preserving food. The good news is that your kitchen most likely already has most of the utensils that will be needed to prepare and preserve. A lot of canning recipes call for the food to be heat processed in a boiling water canner. 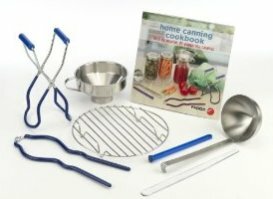 This is canning equipment that you may not need to buy if you have existing pots that might be a good substitute. This is especially true if you are using smaller canning jars. 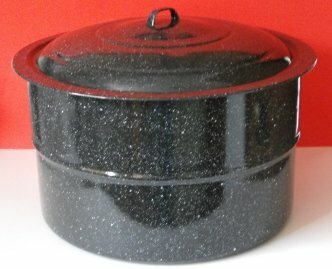 You simply need a deep pot with a rack and lid. 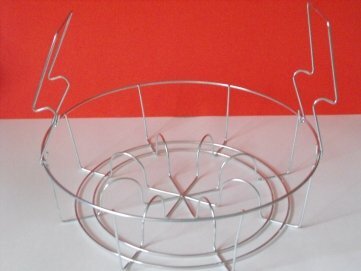 Canning Rack that goes inside the Boiling Water Canner. There are certain types of foods that require a heat-process for preserving. These foods include non-acidified vegetables, meat, poultry and fish. 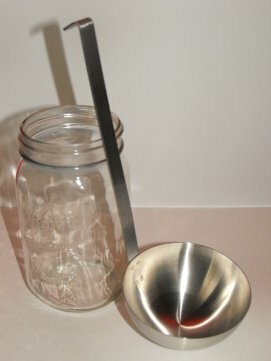 A special piece of canning equipment will be needed and it is called a Pressure Canner. You can usually purchase these at any cooking supply stores. 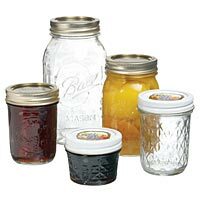 Glass canning jars are the only containers that you should use when home canning. They are often refered to as mason jars. Each jar should be checked for defects before use, especially the top of the jar, it must be smooth and flat with no chips, otherwise it will not seal properly. The good thing is that once you have purchased your jars they can be re-used many times. When sealing your canned goods you will use a flat metal lid especially formulated for preserving food at home. Each lid is constructed of tin-plated steel and protected with a food-safe coating. The threaded metal bands fit over the neck of the jar and holds the lid in place during the heat processing. The lids can only be used once, however the jars and bands can be re-used multiple times if they have no defects. 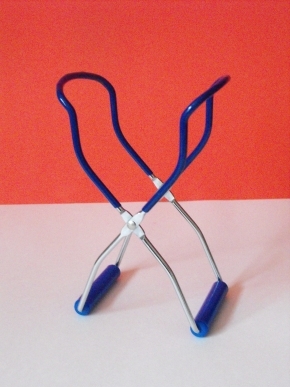 Used to safely grab the hot jars. To ensure all food goes into the jar! 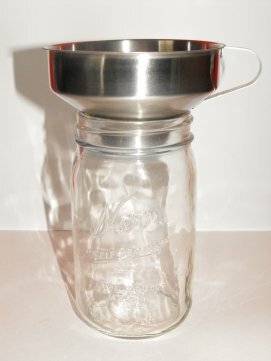 Used to scoop food into the jars. Preserving the Good Things in Life! Copyright 2014 - Country Home Canning. All Rights Reserved.